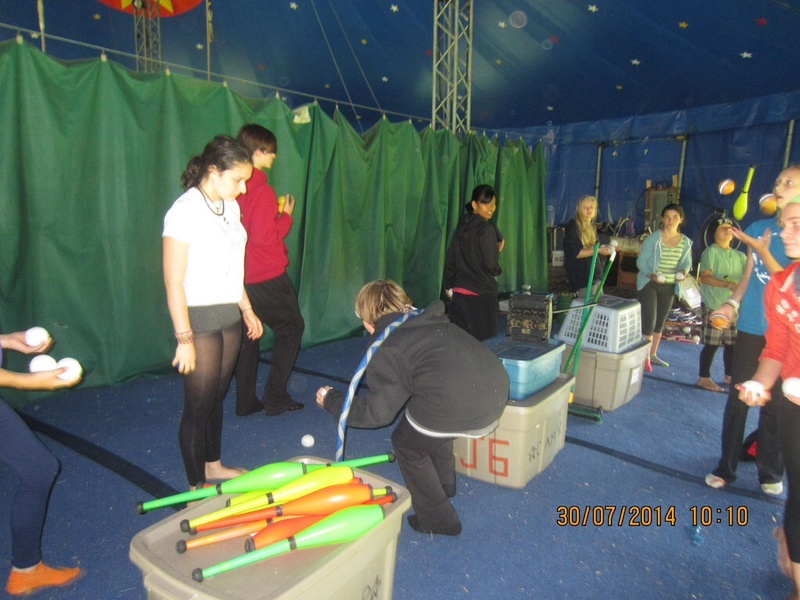 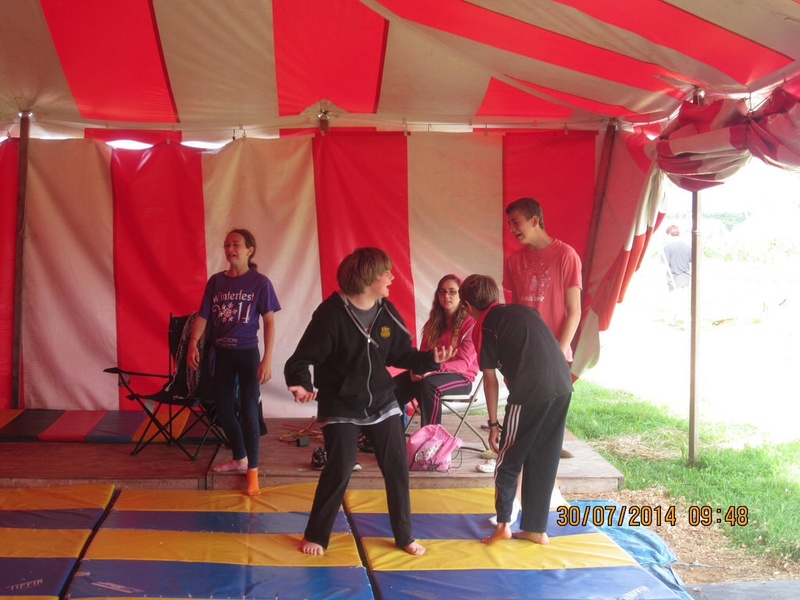 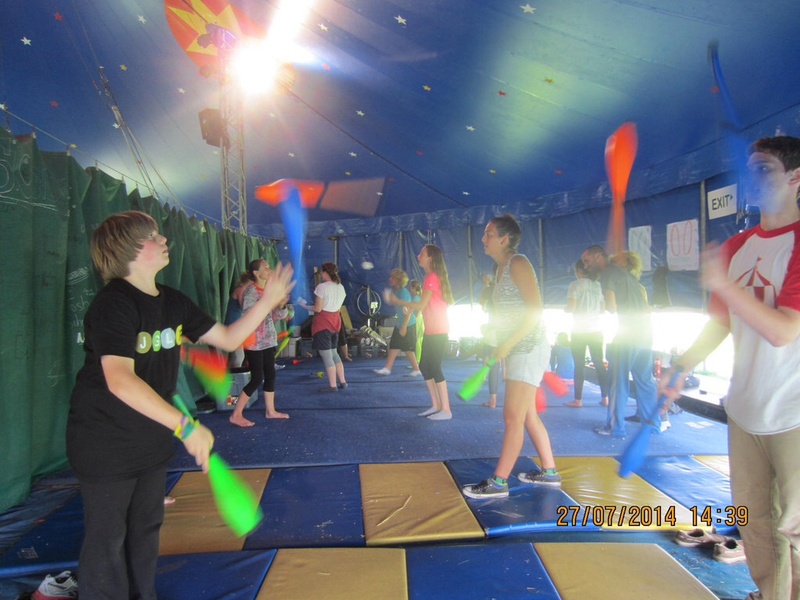 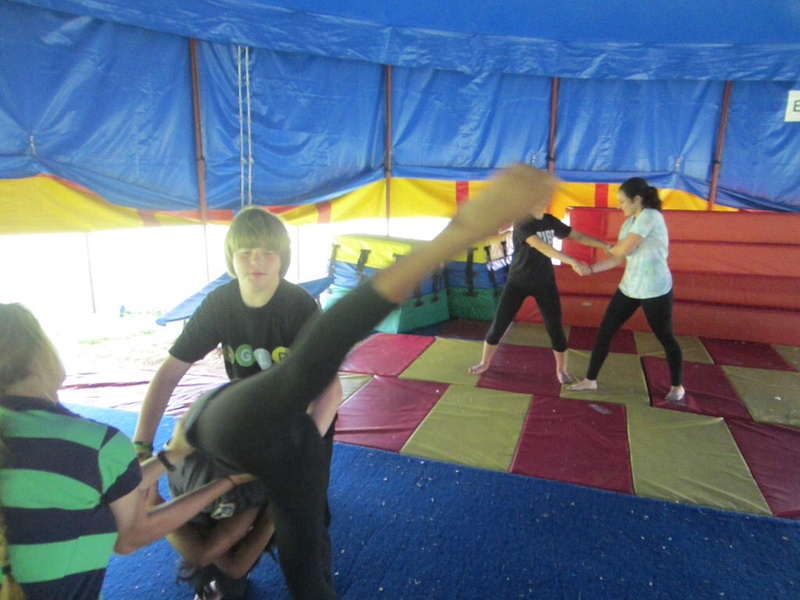 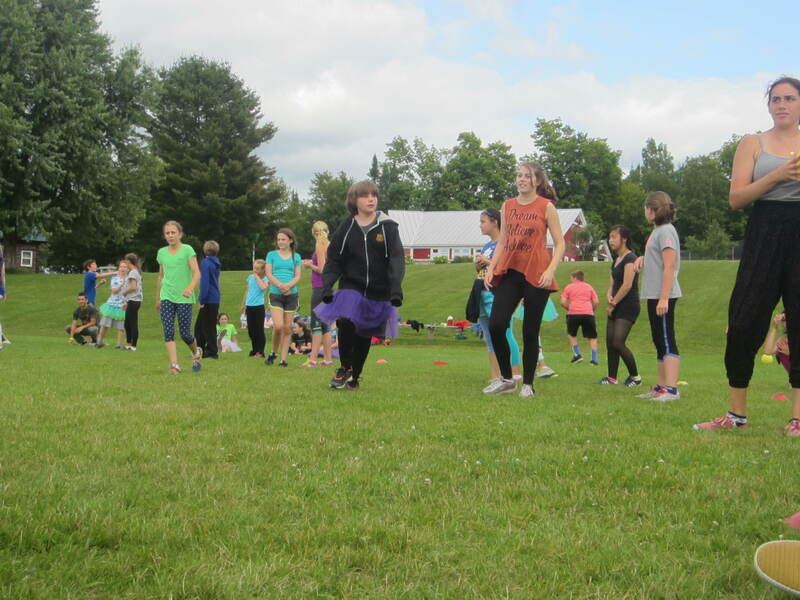 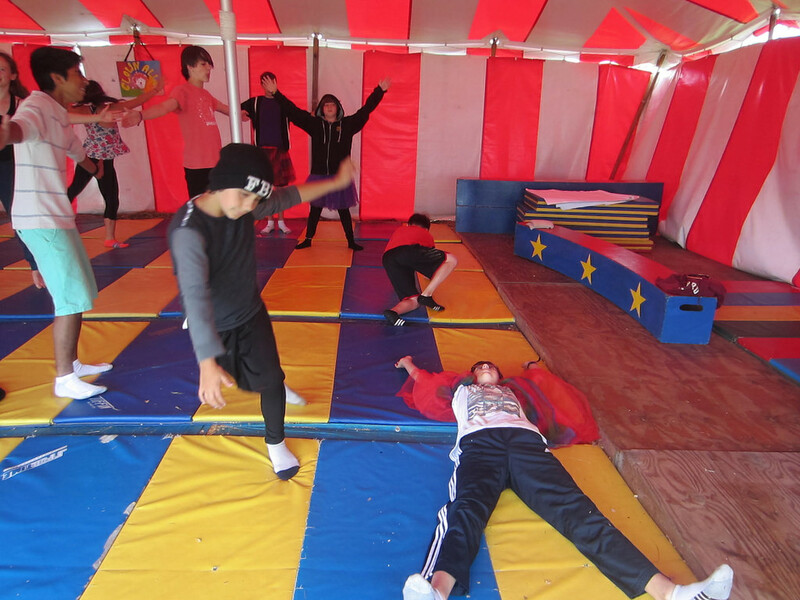 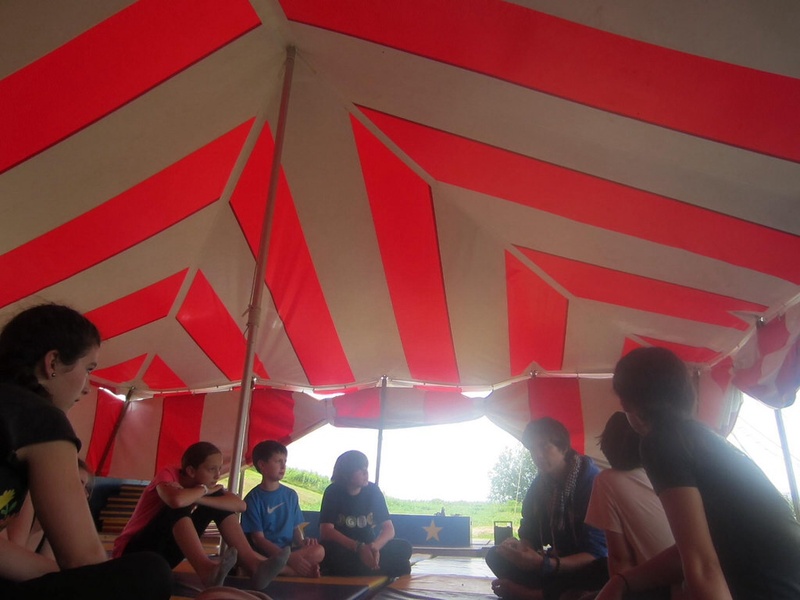 Here are some photos from Week Two at Circus Smirkus Summer Camp, Session IV, 2014. 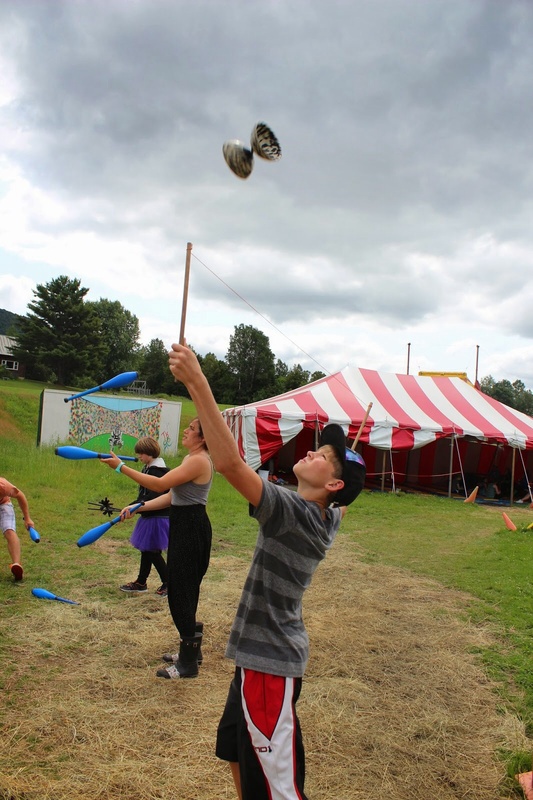 Campers are encouraged to drink lots of water at Smirkus camp — Kameron is staying hydrated during a juggling practice in this photo. 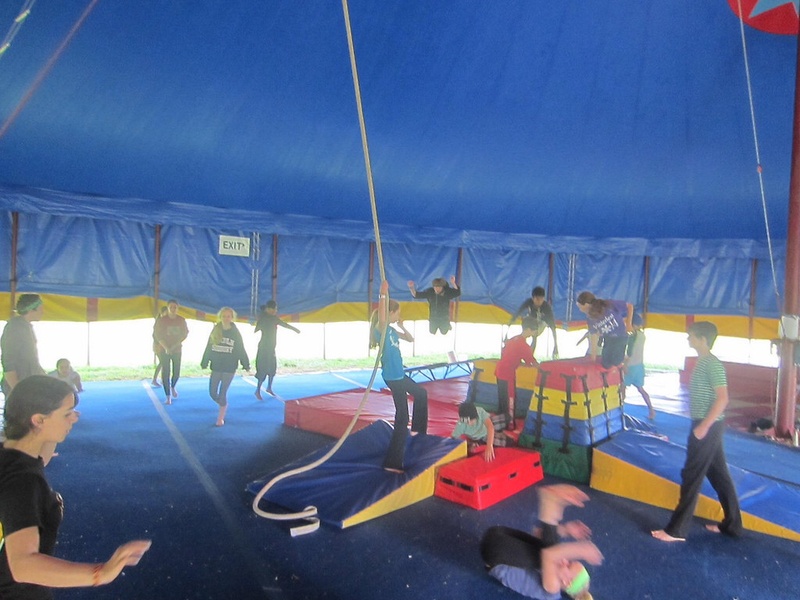 It’s the second Tutu Tuesday at Circus Smirkus camp’s Session IV — but only campers not doing aerial acts are wearing their tutus in these photos, since rehearsals for the end of camp show have started. 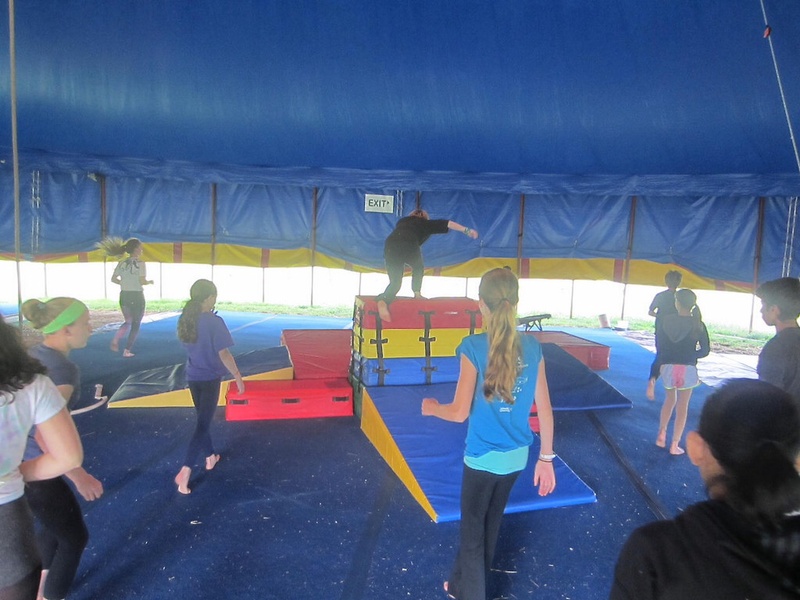 Acro Class — spotting another performer. 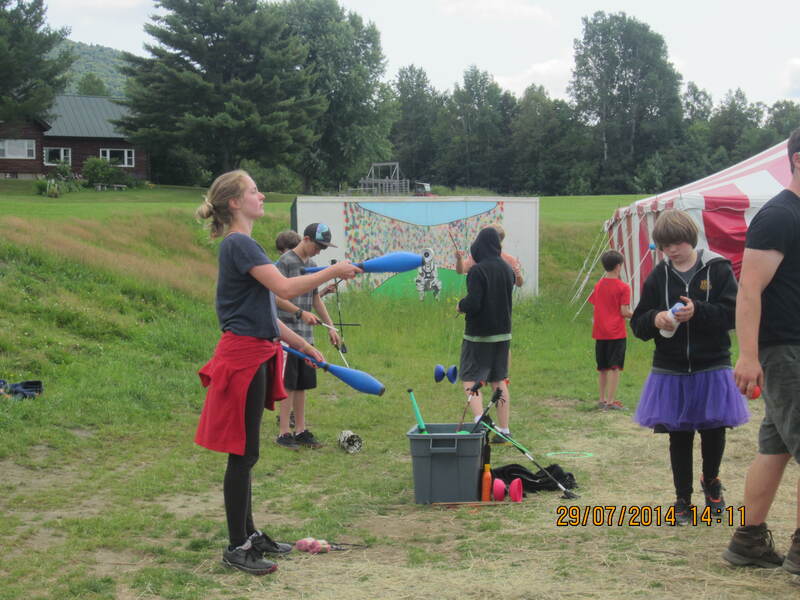 Note to Russ Sharek: I am NOT juggling the plungers. 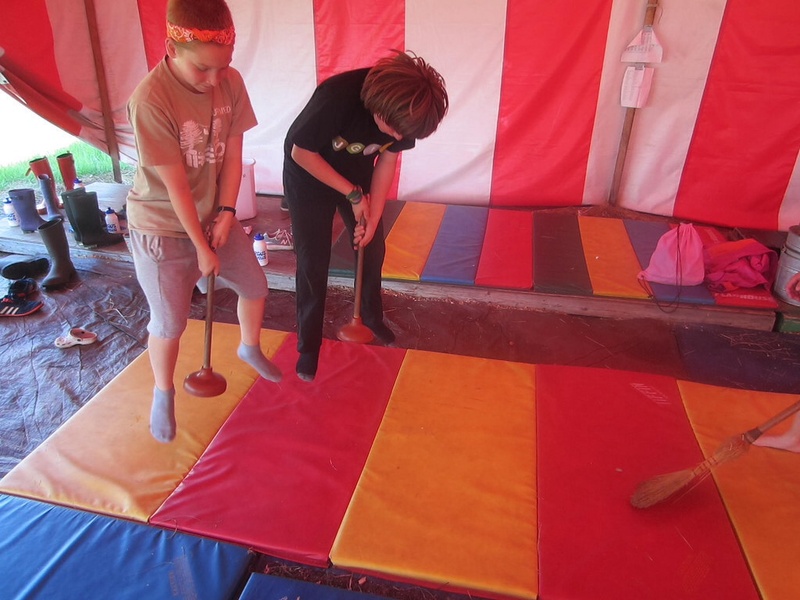 It’s an assigned task in Clown Alley! 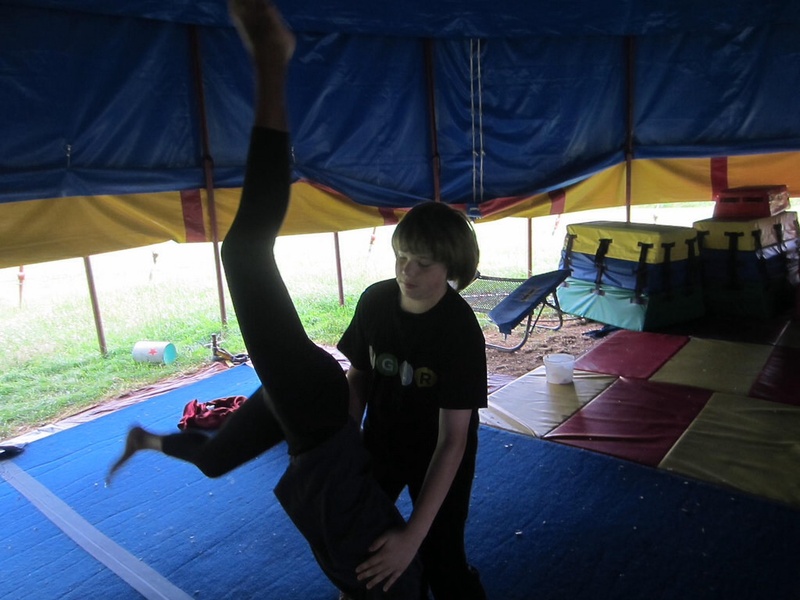 But I am NOT breaking my promise to you.